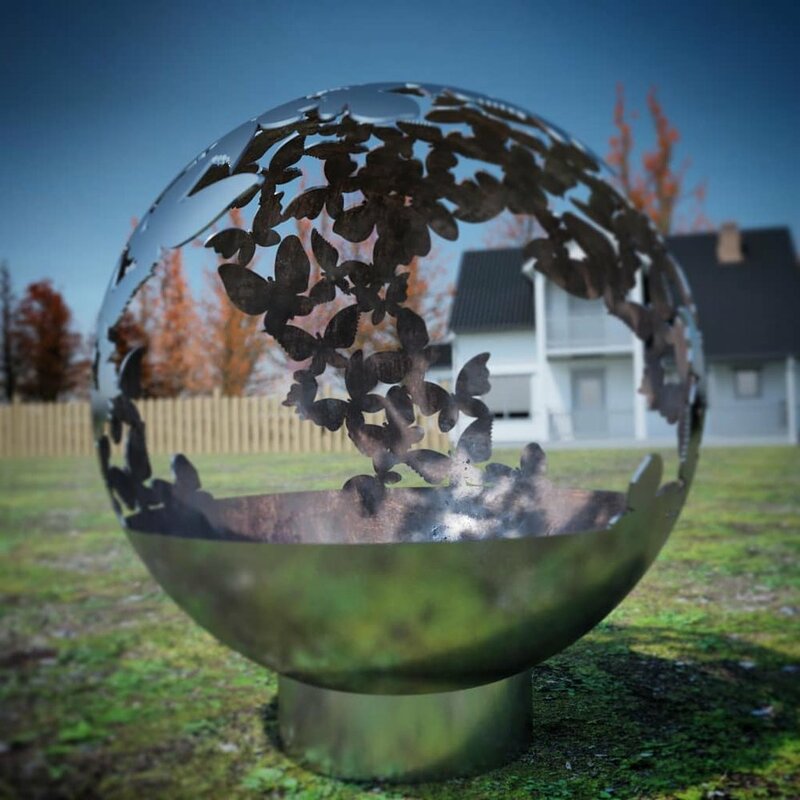 WEST COAST FIREPITS is a premier fabrication and design studio specializing in custom spherical fire pits and fire bowls. 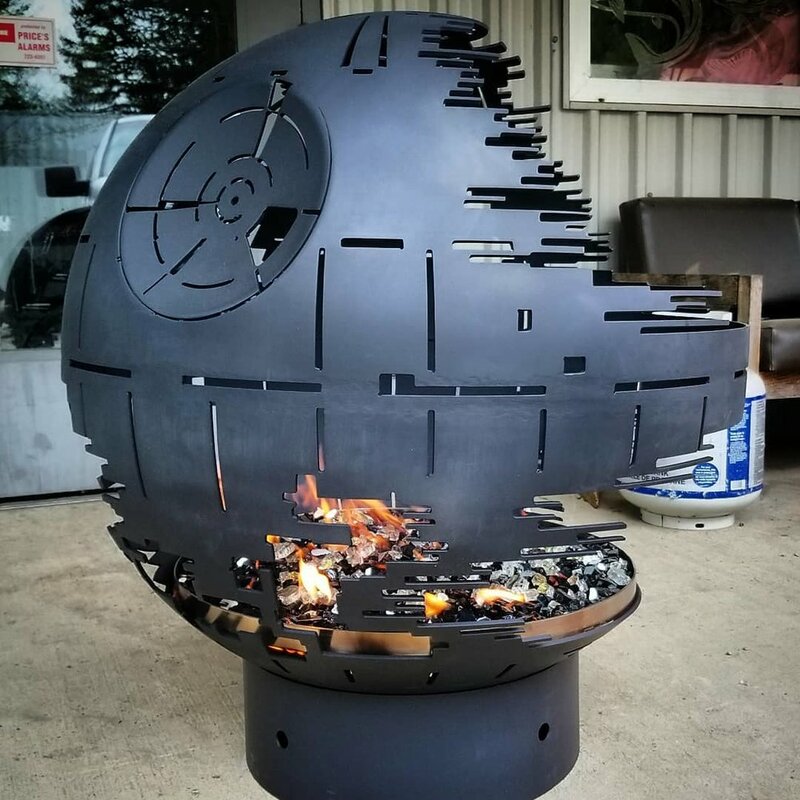 Located in the middle of beautiful Vancouver Island BC, West Coast Firepits manufactures all of our designs in-house, using a unique process that combines high-precision machining and traditional welding & forging techniques. At WCF we go to great lengths to ensure the quality of our product, using only American-made steel in all of our work. 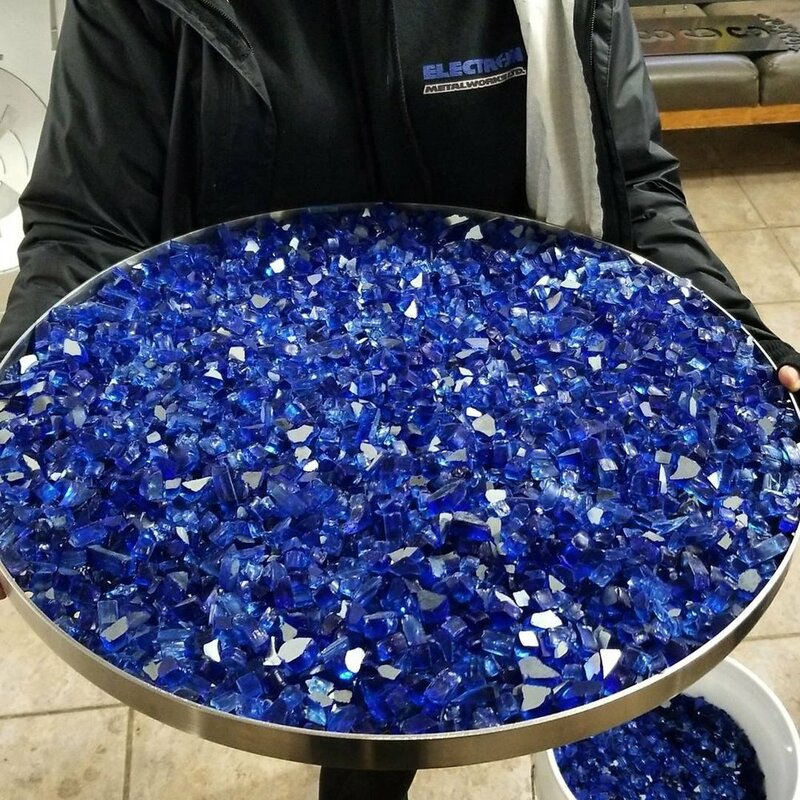 Our fire pits are built to last. 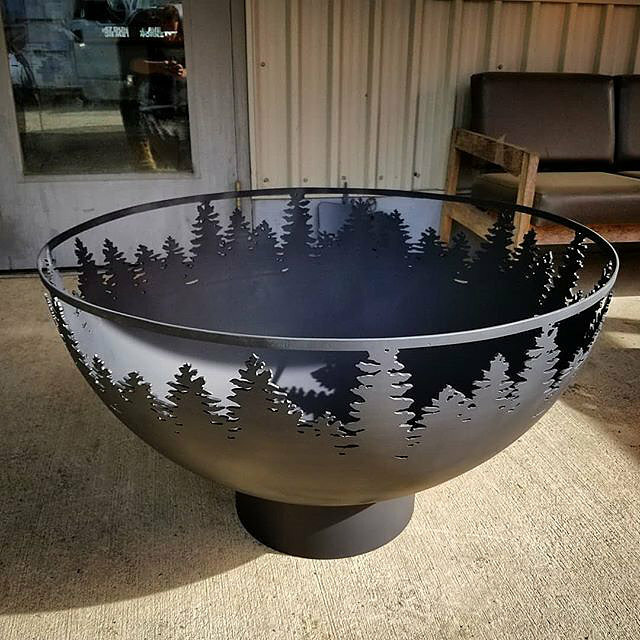 Fire pits built to last..
37" raw steel Woodlands fire bowl pictured above. 37" silver ceramic Earth Bound fire pit pictured above with natural gas and glass options. 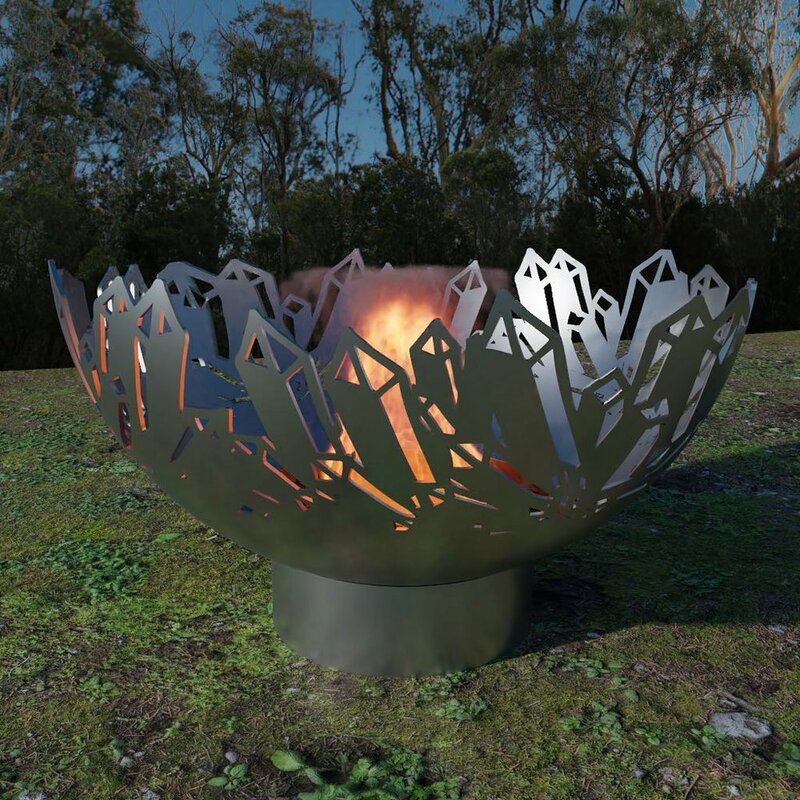 West Coast fire pit in raw steel pictured in both sizes above.